Leading up to election day, a number of celebrities insisted they would hightail it to Canada or elsewhere, should Donald Trump become the next President of the United States. Turns out, the American electorate didn’t really care whether these A-listers stuck around or not. Here’s a list of celebs who have hopefully already started packing! In more than one interview, talk show host Chelsea Handler said she would either move to Spain or Canada. Rev. Al Sharpton spoke at a Center for American Progress event in February. “If Donald Trump is the nominee … I’m also reserving my ticket to get out of here if he wins. Only because he’d probably have me deported anyhow,” Sharpton said. Raven Symone, co-host of “The View”, said she would move her entire family to Canada if Trump won the GOP nomination. Cher went even farther than just leaving the country. She’s ready to evacuate Earth. “I would consider getting in a rocket and going to another planet, because clearly this planet’s gone bonkers,” Stewart told People Magazine at this year’s Emmy’s. Spike Lee told Vanity Fair be “moving back to the republic of Brooklyn, New York,” if Trump won. Hopefully Hollywood, and America, will survive should all of these figures follow through with their vows. Liberals are losing their minds over Brett Kavanaugh’s confirmation to the Supreme Court on Saturday. Here’s some of the best. Seriously, What Is Going On With Mark Zuckerberg’s Hair? 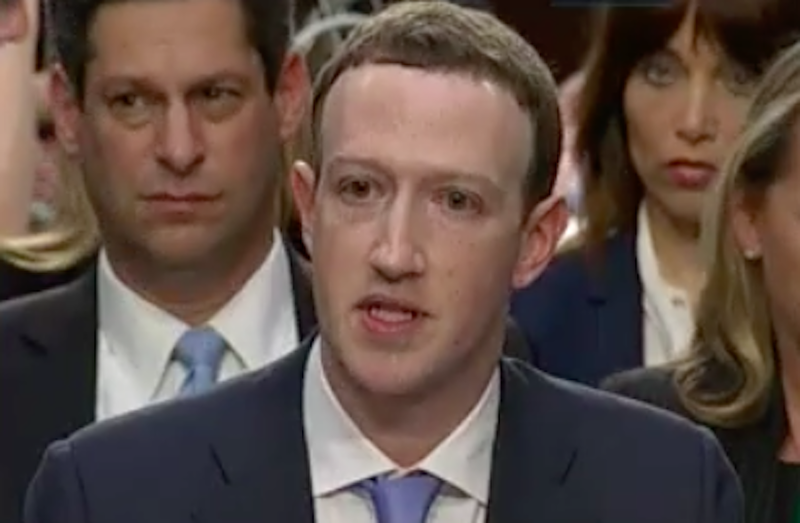 Facebook’s Mark Zuckerberg sported a really disturbing hairstyle, while testifying before Congress on Tuesday afternoon. During Rep. Joe Kennedy’s response to Donald Trump’s first State of the Union address on Tuesday night, the Democratic congressman got wrecked on the Internet. Will You Daylight Saving Time Whiners Stop Bothering Me And Work On Getting Rid Of It? Histrionic complaints about Daylight Saving Time are a stain on our national character. Let’s direct them elsewhere.